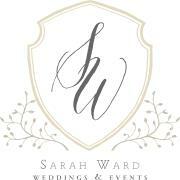 Sarah Ward has a passion for weddings. A passion that allows her to help her clients enjoy the most important day of their lives. "This industry allows me to touch people's lives in a very special way. That alone makes what I do worth it. Throw in the fact that my creativity and perfectionism have an outlet to express themselves and it's a match made in career-heaven. A wedding, in my opinion, is made memorable through those special little touches. It's finding what's special to the bride & groom and making that come to life. Seeing the joy on my client's faces when their vision become reality is what makes what I do such an amazing experience." Sarah's career started at a luxury hotel where she quickly found her true calling in weddings. She spent four years as an in-house wedding coordinator before striking out on her own and starting her own coordination business. "The most important aspects to my business are integrity, sincerity and good old fashioned hospitality. I believe strongly that a person's wedding day should focus on family, friends and joining their life with the one they love. At no point should stress become a factor. In order to keep stress at bay for my clients, I carry many roles. I'm a mediator, an organizer, a middleman, a friend, a counselor, an executioner of details, and a hand to hold. Most importantly, I'm there to make sure that the day is flawless and successful." Hiring a coordinator will ensure that your day will be perfect and most importantly, enjoyable.